Monday I flew to New York’s JFK airport, Tuesday I flew from New York to Chicago and Thursday back to Scottsdale. Each day I had the joy of practicing at a new studio, with instructors I hadn’t experienced before. Although it’s the same dialogue and postures, it’s never the same. I hear the dialogue differently each time, learn something new, and experience new challenges. If you’re like me and your work keeps you frequently away from home, you know how challenging it can be to maintain a regular practice. Travel time and meetings might leave little room in your schedule for a 90 minute class but I have found a little dedication and planning can help you keep up your practice when you're traveling. 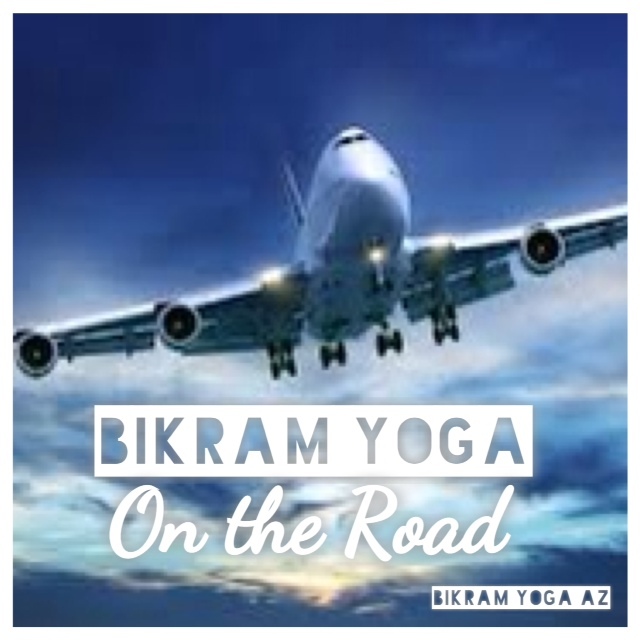 Whether you are traveling for work or on holiday most major cities across the globe offer Bikram Yoga and I make it a habit to always take a class after long flights to minimize jet lag. When you schedule your next trip, go to the Bikram Yoga class finder to find a studio near where you are staying. Visiting Phoenix or Scottsdale, Arizona? We'd love to have you in our studios for your Bikram Yoga class "on the road"! We offer great drop-in rates, as well as an Out-of-Towner package (includes 5 consecutive days of yoga AND a mat and towel on each visit for just $50!). Click here to see our locations and class times. Before the holidays I had surgery and was forced to take a break from our beloved “hot room”. For almost two months I wasn’t able to practice and with every passing day I worried that my postures, which I had worked so hard to “perfect” wouldn’t look the same. I worried that my back bends wouldn’t be as deep, my balance would be lost, and my strength to hold triangle would be less than it once was. My first practice back, I was so concerned with how others may perceive my imperfections I went to the 5:30am, practiced in the back of the room, and hoped no one would notice me. I realized quickly I was the only one critiquing my postures with such precision and that perfection is a direction, not a destination. You can always go deeper, hold longer, or achieve a more graceful strength. It has been almost six weeks since that 1st day back while my practice isn’t the same it’s in some ways stronger than it was before. The “perfection” I was so worried about losing wasn’t lost it just shifted. For those of you perfections out there like me, remember what the wise words we have all heard before "bikram yoga is a practice, not a perfect" and if you want to receive the full benefits it’s important to allow yourself to be vulnerable, learn something new each day, and not let your own ego make you afraid to step into the room after a break. Our new tag line at Bikram Yoga AZ is CHANGE YOUR WORLD! We believe in Gandhi's message… "be the change you wish to see." When you make changes in your life there is a ripple effect that goes out. You feel better, you treat people better, they feel better, they treat people better and on and on this cycle goes. There are so many things that go on that we have no control over, but we do have control over ourselves. As we change… the whole world can start to change. 4. Do the things you love! -- Whether you love sewing, rugby, running or tennis... this yoga allows you to do the things that can be hard on your body. We recently had someone with such bad arthritis they couldn't do the thing they loved, sewing... but after just one class could do the thing they loved again! We have many athletes from all sports that can continue doing the thing they love even though it is hard on their body. What do you love to do? This yoga can keep you doing it even in to old old age! 3. Live Forever -- okay, okay not forever. But when you practice yoga, you keep your body young. You heal old injuries, prevent diseases, gain strength, become more flexible, have less stress, and overall just feel better. Click here for the article on how this yoga is the fountain of youth! 2. Belief in your self also known as Self-Confidence -- you lose weight, tone up and start to feel great! But even beyond that… this yoga is challenging and the more you do it, the more you feel like you can do anything. By overcoming the challenges in the hot room you realize how much you can do on and off the mat. 1. 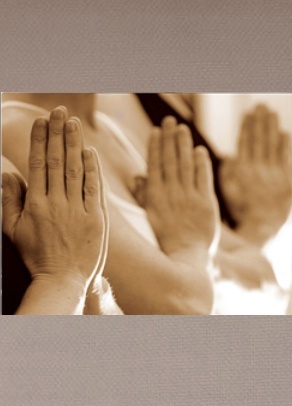 Peace -- When you practice yoga you start to develop a relationship with your self. You develop the power to connect within and external circumstances don't bother you as much. You can be in any situation, around any person, and nothing can steal your peace away from you. How can we have a more peaceful world? It starts with us. We start with peace in our own heart and in our soul.